Advanced Tickets & more info T.B.A. 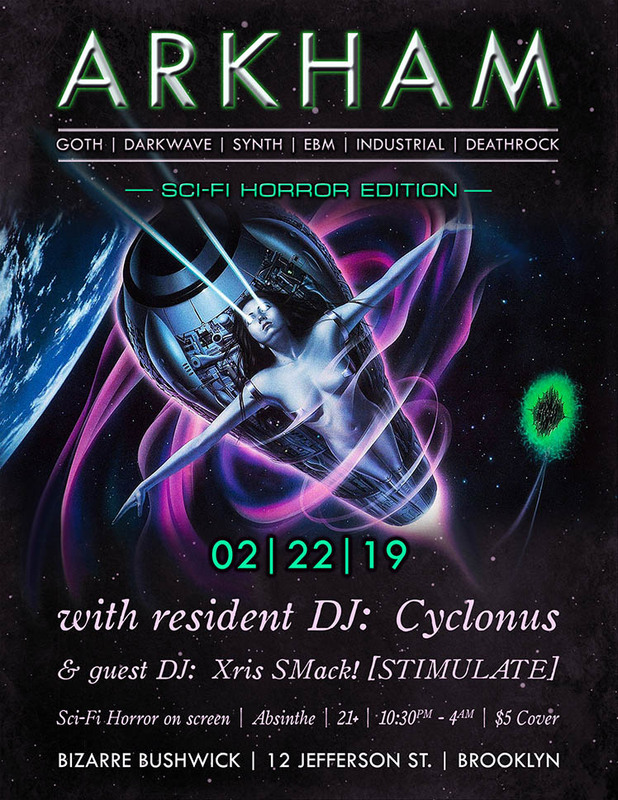 CYBERTRON NYC vs STIMULATE at the Dark Side of the Con Festival - Friday March 29th! the Legendary Combo is back! it will also be Xris SMack! 's Annual Birthday Bash! Gothic, Industrial, Fetish, Rave + Rivitheads welcome too! WARD 6 -- Saturday, March 23rd!!! 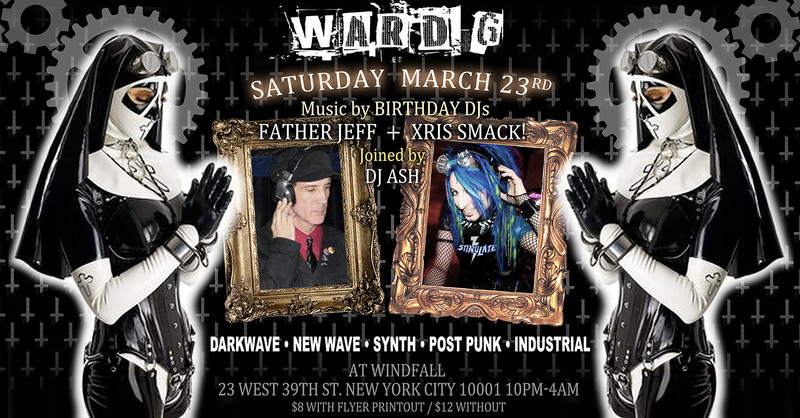 † Come Celebrate Father Jeff's Birthday! 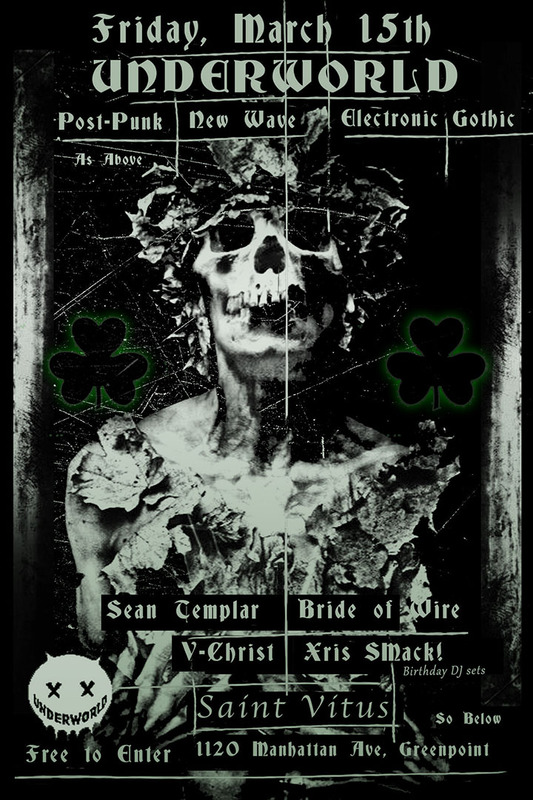 † Come Celebrate Xris SMack! 's Birthday! † Mandana Banshie Templar at the gate!! † SARA at the Bar!! 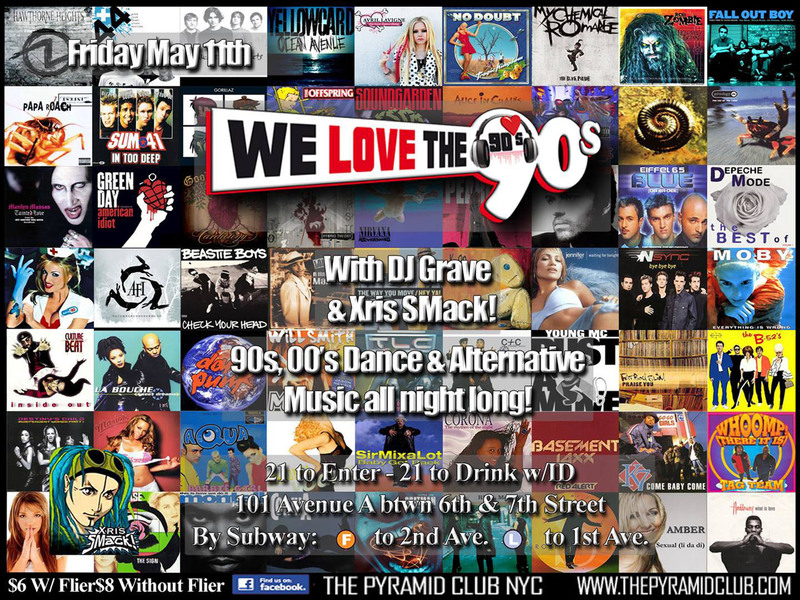 Awesome flyer by Xris SMack!! You´ve got to know there´s fun to be had!! UNDERWORLD – Goth Darkwave Deathrock – Xris SMack! Birthday celebration! UNDERWORLD - Goth Darkwave Deathrock - Xris SMack! Birthday celebration! NYC's favorite punk industrial trio The God Bombs return home from an extensive North American tour with Ministry and Chelsea Wolfe. Catch the band playing songs off the popular newly released debut EP 'HEX' along with fan favorites from singer Justin Symbol's catalog. 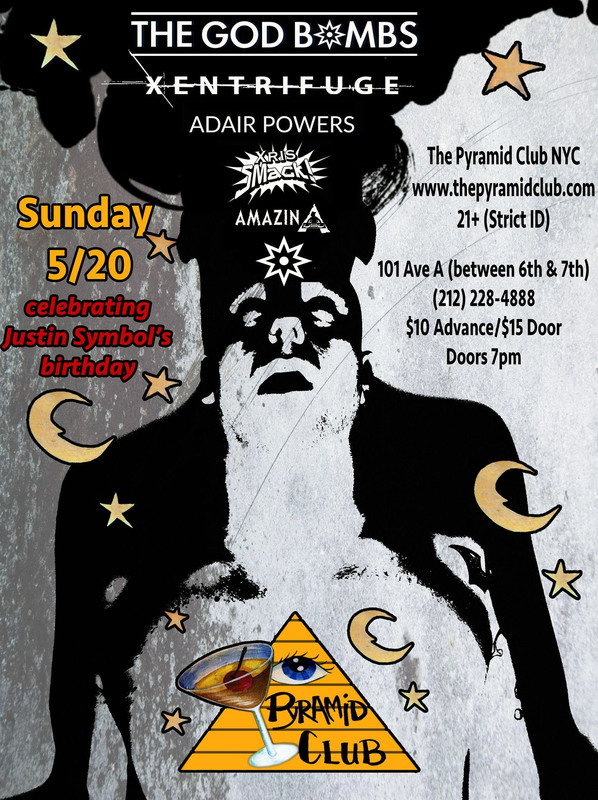 Celebrate Justin's birthday with us at this event! From the NJ/NYC Underground Music Scene comes Xentrifuge, a brutal assault of Harsh Industrial/Dark Electro, constructed by the collectively innovative minds of Chris X and Lisa Hellen. Adair Powers, singer/songwriter and poet from the Ozarks MT's. Loves bubbles and random clouds in clear skies. Looking forward to just making music and doing what we love rather than chasing the dream and missing the journey. **Premiere of Adair's "Life Me Up" Music Video**!! DJ Amazin A broke out on the DJ scene in '93, entering DJ competitions & battles, and selling mix tapes all over his neighborhood in Queens and NYC. He worked hard to build his reputation and skill as a turntablist. after their show at the Barclays center June 6th! DJ Xris SMack! once again at this year's HUMAN MUSIC Festival! 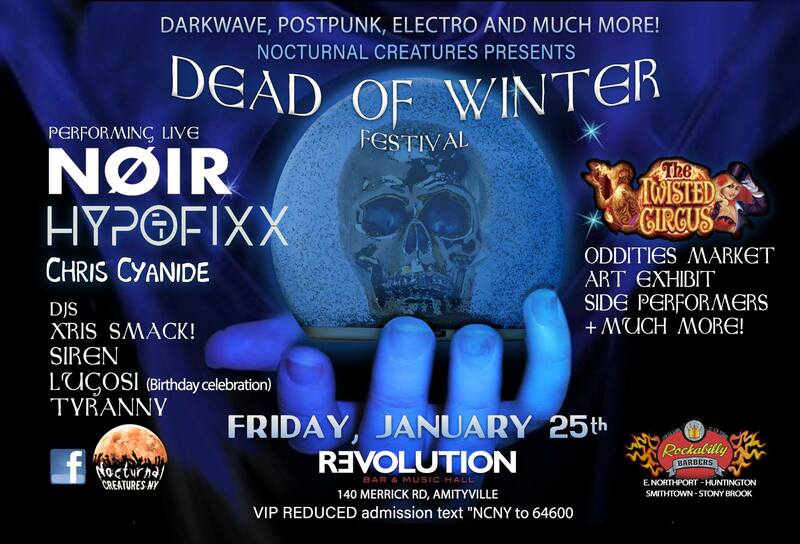 Afterparty with special guest DJs Samuel Valentine & Faith In the Glitch plus celebrity guest be announced!